Smash Mouth is available for exclusive private events, as well as public concerts, and corporate functions. To inquire about pricing and availability of Smash Mouth, or to book Smash Mouth for your event, Contact Jay Siegan Presents here. Out of nowhere, the single “Walkin’ On The Sun” was an immediate international sensation. (Quickly shooting to #1 on the Billboard charts, and eventually boosting “FYM” sales to over 3 million copies in the U.S. alone.) In the two decades since, Smash Mouth has not slowed down. In fact, they are as vital and vibrant as ever. Smash Mouth’s major- label debut “Fush Yu Mang” goes more than double-platinum and sets the table for what most consider their masterpiece, 1999’s brilliant follow-up album “Astrolounge”. Boasting three top-ten hits (“All-Star”, “Then The Morning Comes”, and “Can’t Get Enough Of You Baby”), sales for “Astrolounge” are nearly double those for their debut, approaching quadruple platinum. 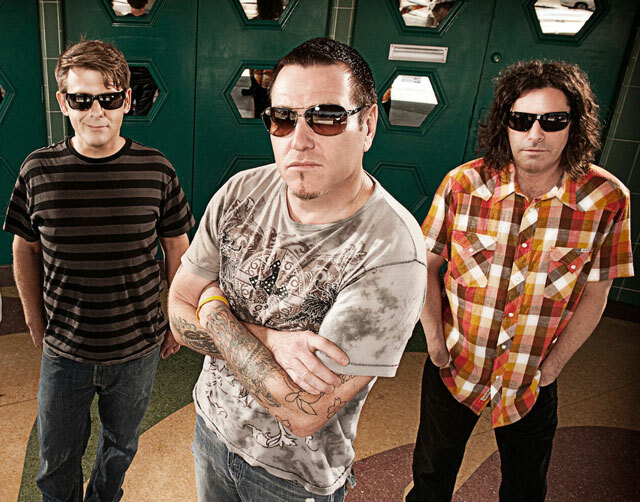 Smash Mouth’s third, eponymous Interscope release features the ecstatic first single “Pacific Coast Party” and the smash hit “I’m a Believer”. Around this time, Smash Mouth crosses over into the film world by providing the musical heart of the soundtrack for “Shrek”, and even making a cameo appearance in the movie “Rat Race”. In recent years, Smash Mouth has focused on entertaining troops in such places as Japan, Guam, Guantanamo Bay, Afghanistan, and Iraq.